February 4, 2019. 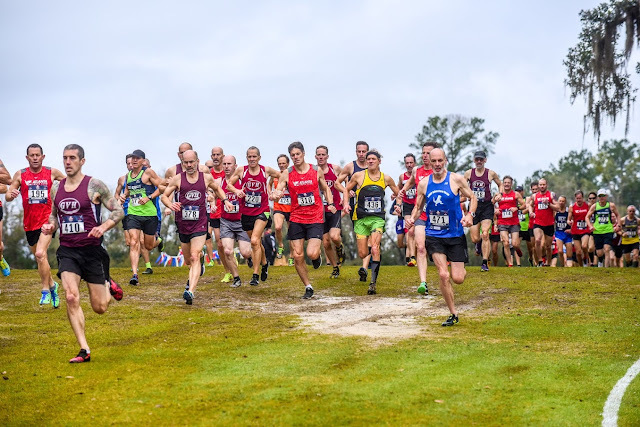 Tallahassee welcomed national caliber Masters Cross Country runners to the Apalachee Regional Park course for the 4th time in the last 3 years. Weather conditions were favorable for strong efforts--mid 50 degree temperatures with a cloud cover but no rain. There were a few areas where the course softened up due to a Friday evening rain and that led a few runners on the margin between spikes/no spikes to choose spikes. 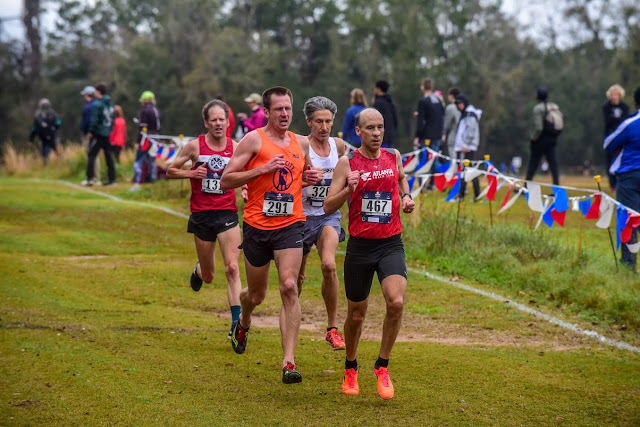 It looked like there should be dozens of battles both at the front and in the many individual and team races for national championships within the race. 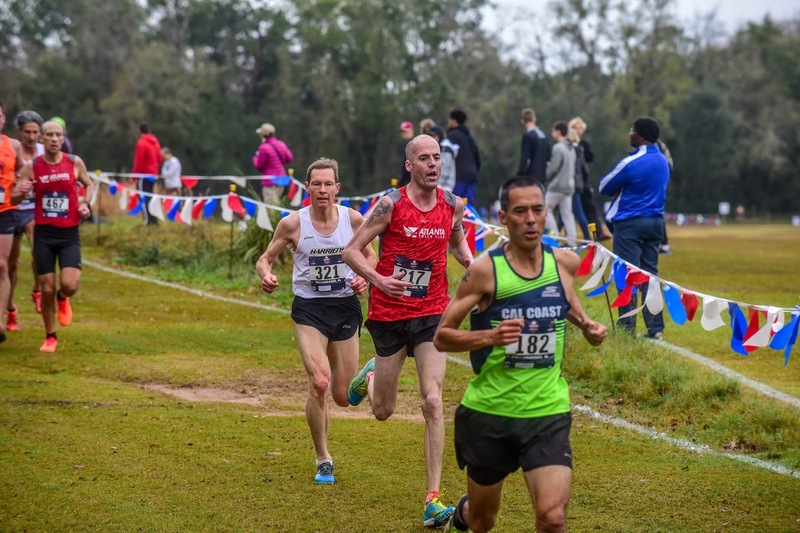 The Men's 10 Km race went off at 9:15 AM; they would cover two 3 Km loops followed by a 2K loop. Paul Jones, Nat Larson, Kent Lemme, Brian Sydow, and Dean Thompson. 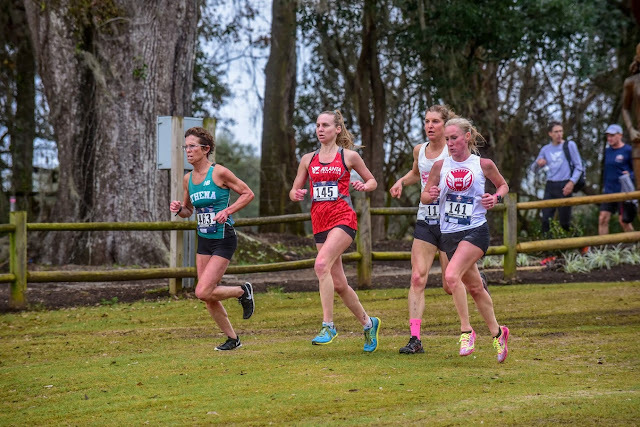 By the time they hit the 1 kilometer mark on the shell-gravel in the woods, the lead pack was down to 3 and Fields was in 'no man's land' between the lead and chase packs. It had been an ambitious start for Fields; he must have felt it would be a good day. By the time they finished the first loop the Jumbotron showed a tight lead pack with Angell continuing to dictate the pace. Pack had split, the 2nd Chase Pack was still within striking distance should anyone be able to surge. By the time they reached the shell-gavel for the second time, Gardiner had to let the other two go; he had more than 20 seconds on the chase pack so a podium finish was still likely. There had also been a split in the chase pack with Cushing-Murray pulling away from the rest, except for Larson, who was right on his heels. Nothing changed on the rest of that loop but two things happened on the back of the final loop. 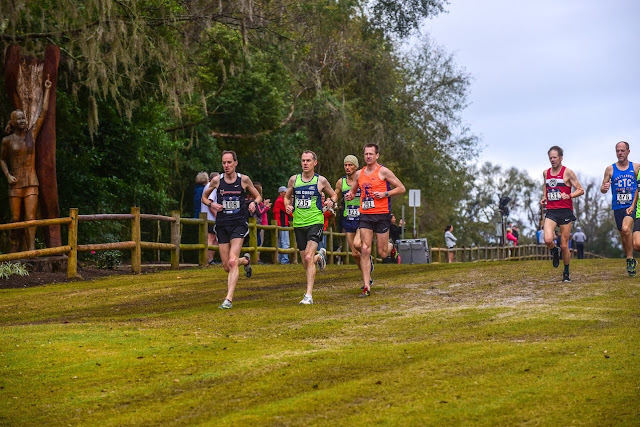 When they hit the 7K mark, Sallberg started to accelerate just a bit and opened up a two stride lead which quickly grew from there as he pushed up 'The Wall', the last hill before the course opens up onto a field where the runners run across the top for 300 meters and then a final 200 meters down to the finish. Angell had no answer as Sallberg powered away and crossed the finish line in 26:33. This would be his 4th victory at these Championships in February since turning 40 in the fall of 2014. 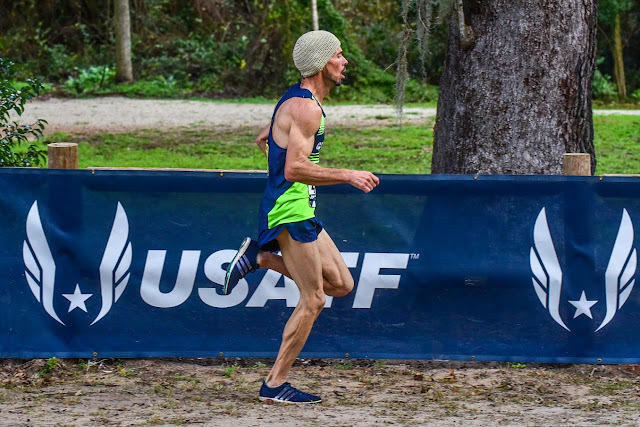 He won at Boulder in 2015 and then had two wins at Bend, Oregon in 2016 and 2017. He missed these Championships last year. I wonder if he could have won 5 in a row? Winning 4 of 5 is pretty amazing! Angell took 2nd in 26:53 with Gardiner 3rd another 27 seconds back. Angell was happy with his efforts; his pace never flagged but he could not match Sallberg's acceleration over the final kilometer. Sallberg was happy to win again; he credited much of his continued enthusiasm for running to the exhilaration he gets from his coaching of high school aged athletes. In the post-race interview he touted the high school and other athletes he coaches: "They are great; they keep me centered, they keep me at peace and they keep me doing this stuff!" Once the Chase pack dwindled to Cushing-Murray and Larson, who would make the move to win that race within the race? Larson surged at the same spot as Sallberg. 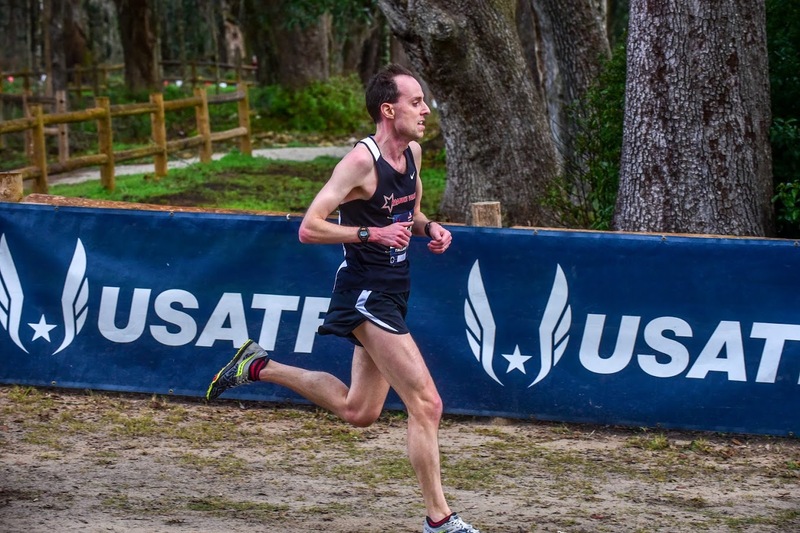 As he stated after the race, "I knew if I left it to the end, I was toast; Cush was a sub-4 minute miler in his day and I just don't have that speed. I needed a cushion." His strategy worked and his conditioning held, as he was able to open up a 7 second margin, taking 4th in 27:49 to Cushing-Murray's 27:56. Finishing 6th through 10th were Jones, Sydow, Blackmore, Fields, and Lemme. The Women's 6 Km race went off at 10:15 AM; they covered two 3 Km loops. 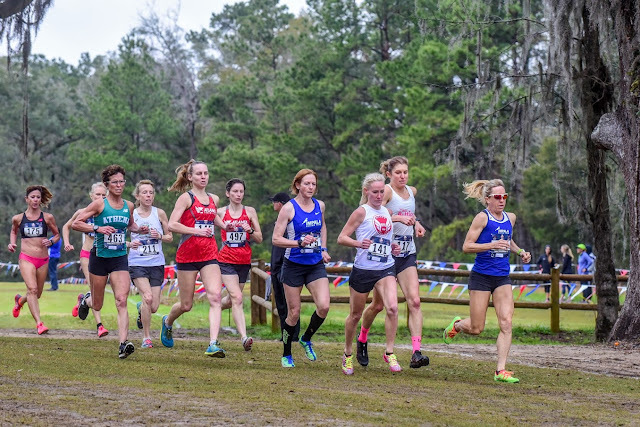 Again a lead and chase pack formed but there were 6 in the lead pack this time: Sarah Barber, Laura Bosley, Jill Braley, Marisa Sutera Strange, and Nancy Thomas. 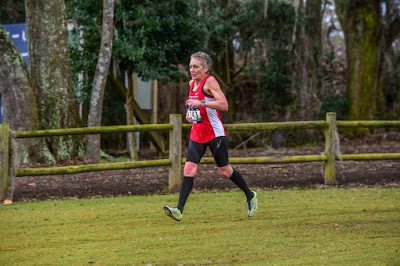 Jennifer Bayliss, who won here last year, was part of the lead pack for the first kilometer and was, in fact, leading the pack. After the first kilometer, Braley upped the ante a bit. The pack answered that surge but Braley was now dictating the pace as Bayliss was struggling to maintain contact. Bayliss was running strictly for team points as her fitness has been off recently. 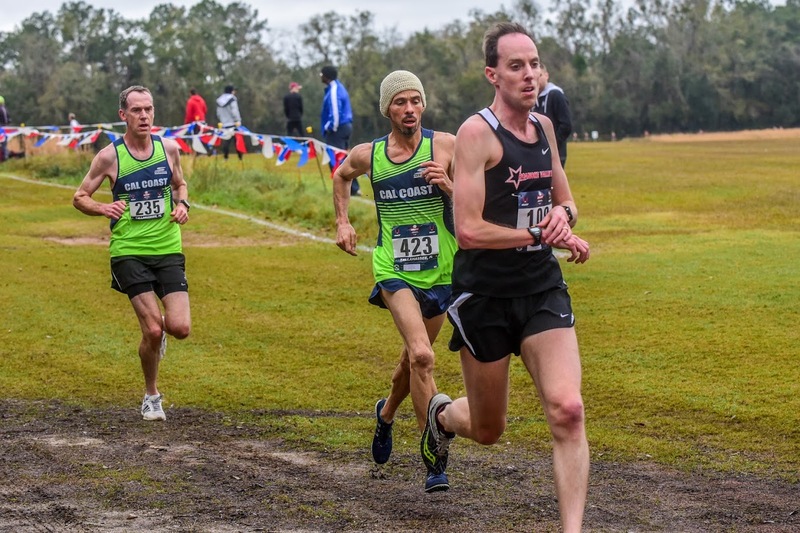 At the 2K mark, Braley was still leading the way, but Barber, Bosley, Strange and Thomas were all there. Bayliss was 8 seconds back now forming a 2-runner chase pack with Amy Fakterowitz. 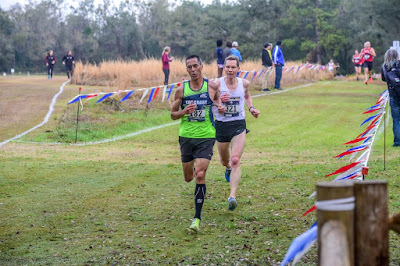 By the end of the first of two loops, the Jumbotron showed a 4-runner lead pack with Thomas now 5 seconds back and Fakterowitz another 20 seconds back in 6th. As they headed uphill on the slope up to field #4 Strange started to push the pace a bit although the other three were hanging with her. Once they reached the flat, Braley moved up onto Strange's heels but did not challenge her. Bosley and Barber were content to allow a small gap to those two emerge. Once they rounded the bend at the end of the field, Strange kept the push going so that Braley found herself a few strides back. When they entered the forest for the final time, Strange had a 10-meter gap on Braley, with Bosley and Barber another 15 meters back. 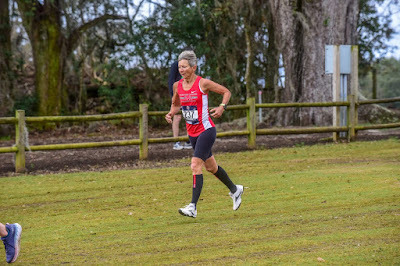 Try as she might, Braley could not prevent Strange from stretching that gap up to 25 meters by the time they hit the '1 kilometer to go' mark at 7K on the 'Shell Bridge'. Strange kept everything going nicely up the Wall and over the top and on down to the finish. At the end Strange crossed the line in 23:31 with a 9 second victory over Braley. 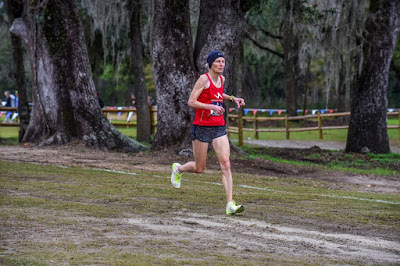 Bosley took 3rd in 23:54, with Barber 16 seconds back in 4th, followed by Thomas, Michelle Allen, Fakterowitz, Susan 'Lynn' Cooke, Bayliss, and Alexandra Newman rounding out the top 10. 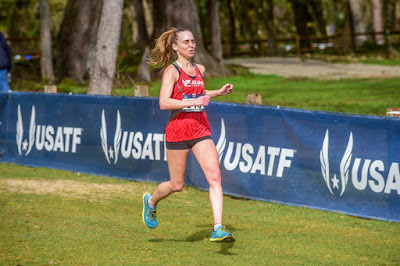 Braley finished 2nd to another great XC athlete, Sonja Friend-Uhl, at the Masters 5 Km XC race in Buffalo NY in September, and came up just short in this race to another determined champion, but her time will come. She is 'knocking on the door!' 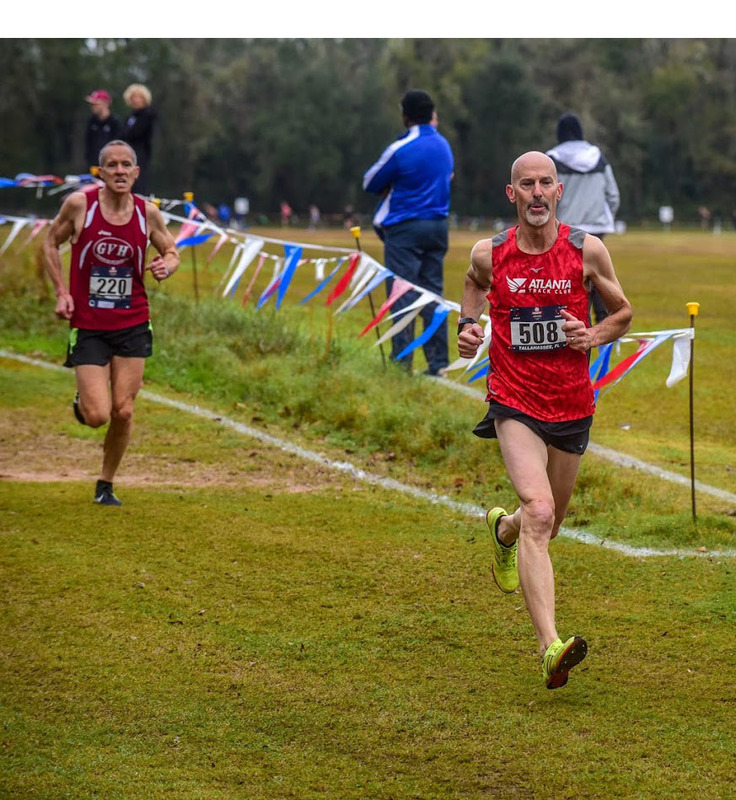 At age 55, Strange is the oldest athlete to win the USATF Masters Cross Country overall race in recent memory. 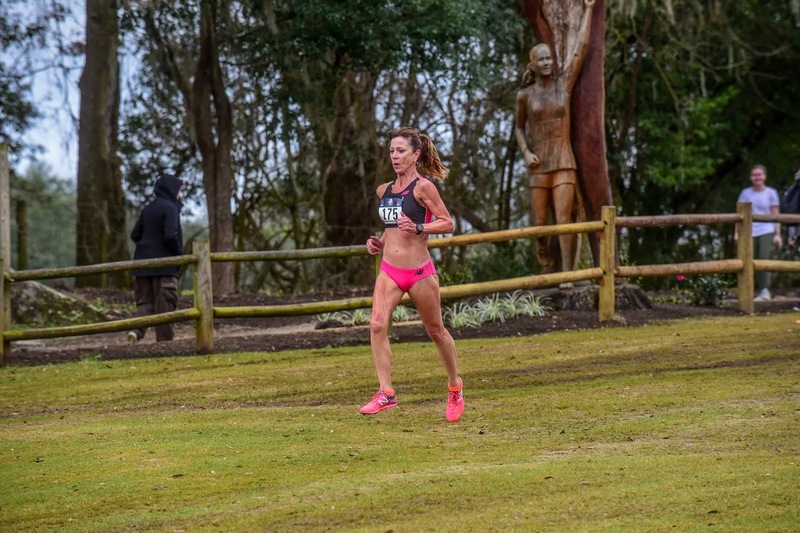 As she said after the race, "To run well you need both the physical and the mental parts to come together. In some past years the physical part was problematic; other years it was more the mental part. Today the mental and the physical parts came together; it was great to run free!" 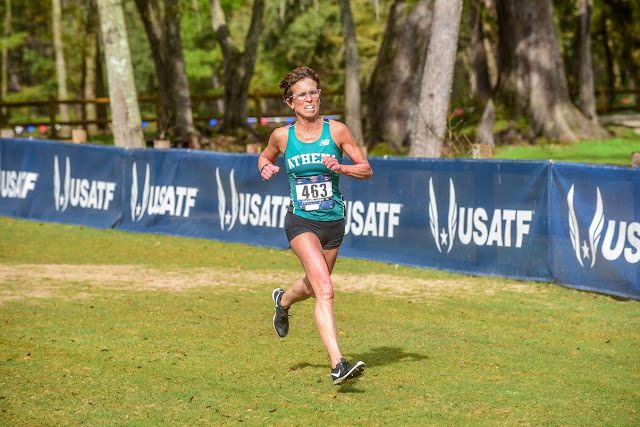 She also emphasized the team aspect: "Running for my team is what empowers me to run; I just want to run well for my team." 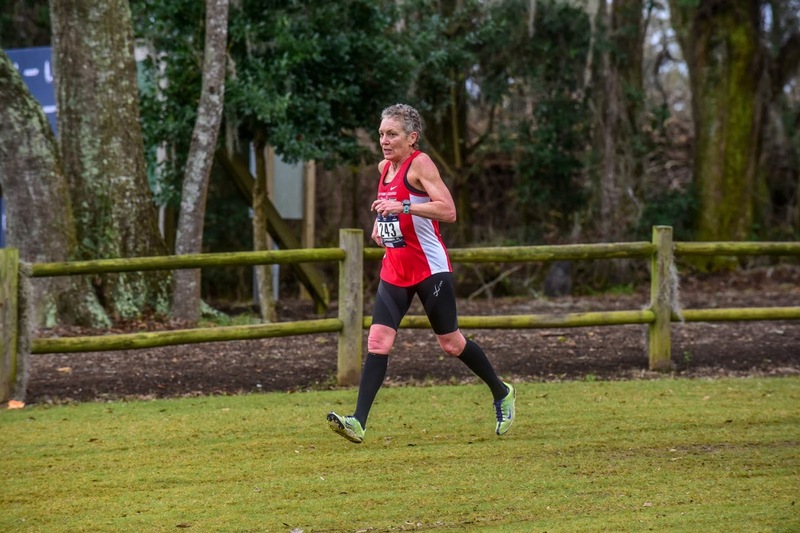 When a 55 year old, Strange, beats many early 40's athletes to take first place in a Masters national championship, one would expect her to also have the top age-grading score. But not when one is going up against the 2017 USATF Athlete of the Year and the 2018 USATF Harrier of the Year, Sabra Harvey. 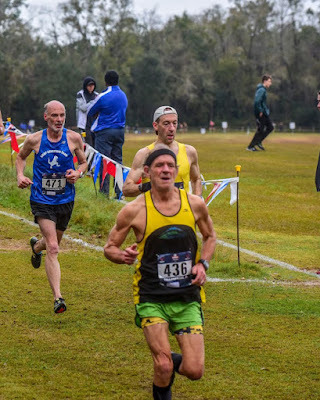 Harvey, 69, finished 12th overall in 26:27! That graded at 96.00%. 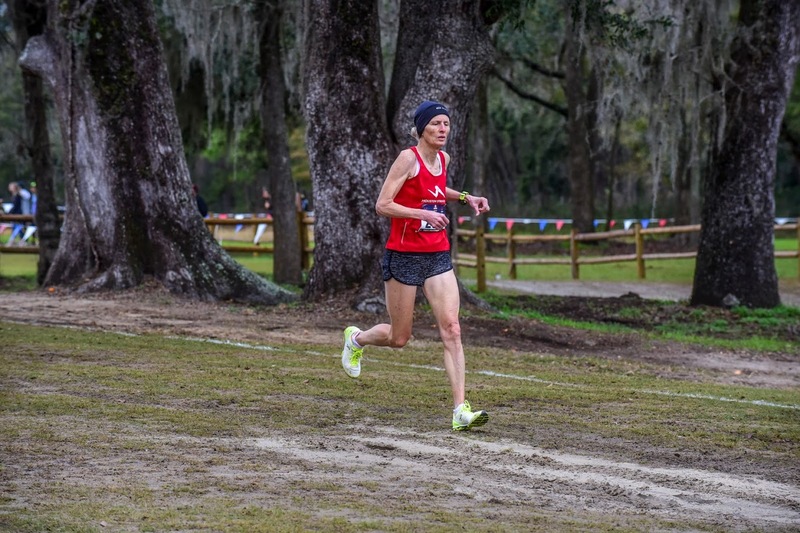 Strange's efforts brought her a 90.17%, the only other score in the women's race over 90%. Susan 'Lynn' Cooke, newly 60, came back from a year of focus on the track, winning multiple medals in Spokane at the Outdoor Masters TF Championships, including a Gold in Steeplechase. 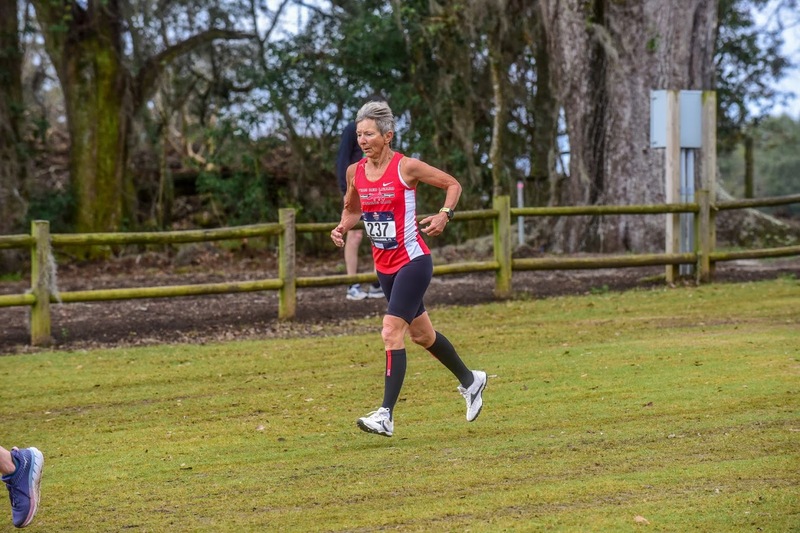 and her new teammate, Sharon Gerl, 70, crossing over from triathlon endeavors, captured the final prize money out of her 30:04. Rounding out the top ten were Michelle Allen, Lorraine Jasper, Mary Swan, Mireille Silva, and Nancy Thomas. Nat Larson returned to the top of the Age-Grading pile on the Men's side, improving slightly on his winning percentage for the Men's 40-59 race at Club XC. His 27:50 at age 56 netted a 90.42%. He needed all of that because Mike Blackmore who had to skip Spokane, was prepped for a great run and delivered, clocking 28:12 at age 57, for a 90.01% score. Blackmore was in the chase pack with Larson through the 2 mile mark but lost ten seconds over the next mile as Cushing-Murray accelerated and Larson was able to keep pace. Joe Sheeran, 61, topped the 60+ age-grading, as he did at Spokane. Of course, here he was in the same race with Nat Larson. His 29:18 came in just under 90% at 89.74. As it turned out, Sheeran had to worry about two N. Larson's. 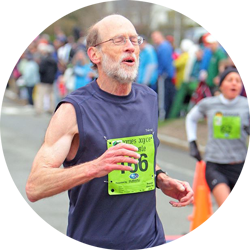 Norm Larson, 63, clocked 30:20 for an 88.27% to claim 4th place prize dollars. Ken Youngers, 62, had his best day in a while as he ran 30:15 and an 87.70%; that's over half a minute faster than last year and 2% points higher on the age grade. The next five included: Roger Sayre, Mark Tatum, Christian Cushing-Murray, Jacques Sallberg, and Kent Lemme. These were both terrific races and the races within races were often stunning as well. There is more to come with the second installment covering Age Division and Team National Championships--Check Back!